Now the sun has finally made an appearance, my bathroom shelfie could do with a spring clean – and the addition of the latest beauty launches. 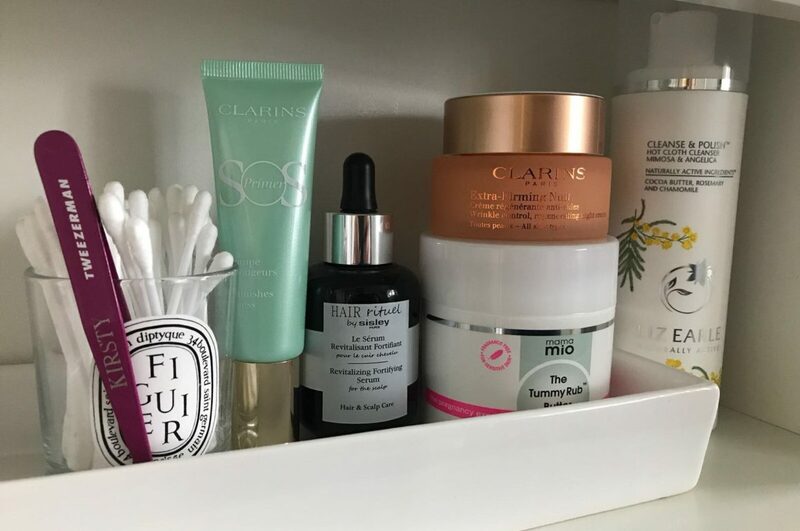 Whether you’re on the lookout for a new cleanser or the latest techy moisturiser, these are the new go-to beauty buys taking pride of place on my bathroom shelfie. There’s something to help with every skin concern in the new Clarins SOS Primer range. Whether you’re tackling imperfections, dark spots, redness, or sallow or dull skin, smooth one of these on before your foundation for a filter like no other. New mama Khloé Kardashian’s a fan of this award-winning body butter, and it’s easy to see why – it protects from pesky stretch marks. The Tummy Rub Butter is now updated for even the most sensitive skin, thanks to its fragrance-free formula. I’ve been a Sisley skincare devotee for years, so you can imagine my excitement when the brand introduced a haircare line. Post-baby, I lost a lot of hair and this is the bottle of TLC my scalp was crying out for. My hair is so much stronger, healthier and protected – this is a new-mum essential. If you haven’t yet tried Liz Earle’s hot cloth cleanser, then I urge you to give it a go – and this limited-edition scent in Mimosa & Anjelica is even more of a reason to stock up. After using this at night for a week I noticed a huge difference in the appearance of fine lines around my eyes and forehead especially – not forgetting how plumped and glowing my skin looked in the morning, even with a baby who likes to wake up at least four times during the night!